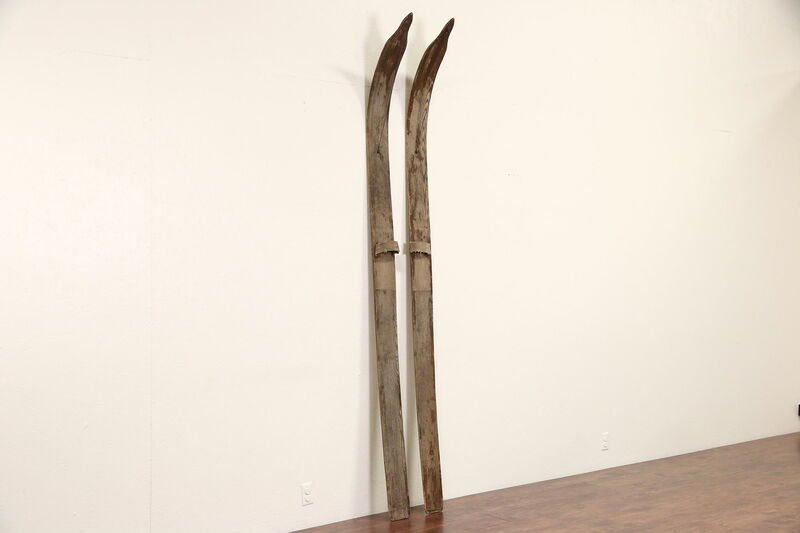 A pair of wide and long "Marsh" skis from the 1930's were used in the swamps of northern Wisconsin by trappers. Oak was "bent" and reinforced with a wire. These vintage skis are well worn, size is 9' 2" long and 6" wide. Due to the size, shipping can be expensive, we recommend store pick up or shipping with other items.